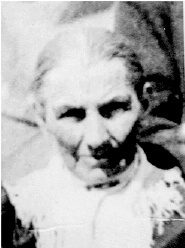 Talitha Cumi Garlick Avery Cheney was one of my ancestors, a Latter-day Saint and tough pioneer woman who was baptized in Nauvoo, Illinois and later crossed the plains with the Mormons who fled religious persecution. She later married in Salt Lake City, becoming one of several polygamist wives of Elam Cheney. She later helped settle a rugged part of Wyoming, now Wilson, Wyoming, near Jackson Hole. The history below was written by Talitha Cumi Garlick with additions by Stella May Cheney Robinson Eggleston, a great-granddaughter. I obtained the text in the unpublished Lindsay/Petersen & Cheney/Nethercott Family Histories, compiled and edited by my mother, Mary Lyon Miles Lindsay, Salt Lake City, Utah, April 1999 (a copy is in my possession). I understand that a published source for her autobiography is "Cheney, Talitha Cumi Garlick Avery, [Autobiography]," in Our Pioneer Heritage, 20 vols. [1958-77], 15:120, which is available in a number of Utah libraries (info courtesy of the Overland Travels resource at LDS.org) and other libraries as well. My great-grandmother, Talitha Cumi Garlick, was born September 22, 1824, at Providence, Bedford Co., Pennsylvania. Her father, David Garlick, was born September 27, 1779, in New Jersey. He died November 14, 1843, in Nauvoo, Illinois. Her mother, Elizabeth Buck, was born May 2, 1795, in Bedford Co., Pennsylvania. David Garlick and Elizabeth Buck were married October 1, 1816, in Pennsylvania. Elizabeth Buck died September 5, 1888, in Springville, Utah. To this couple seven children were born, six daughters and one son. Talitha Cumi was the fourth child. The children were Hannah, Susannah, Mary Jane, Sarah, Elizabeth, Talitha Cumi and Joseph Gaston Garlick. The following is much of the original history written by my great-grandmother, with additions by my cousin, Areatha Cheney Sherman, a granddaughter of Talitha Cumi Garlick, and myself, Stella May Cheney Robinson Eggleston, a great-granddaughter. I was born September 22, 1824, in Providence, Bedford Co., Pennsylvania. Father and Mother belonged to the Christian Church and were very religious and firm in their belief. The Christian Church believed in baptism by immersion, and that was all that was required, they thought. Then, they believed, they belonged to the True Church of Christ. But in 1837, there were two Elders of the Church of Jesus Christ of Latter-Day Saints who came to our neighborhood and preached the true Gospel and Mother and three of my sisters joined the Church of Jesus Christ of Latter-Day Saints. They were baptized in October, 1837. I was thirteen years old then. Previous to these Elders coming, my Mother dreamed she saw two strange preachers and heard a voice say, "These are the true messengers of God, hear and obey." I heard my Mother tell my Father of this in the morning after she dreamed this. The next week, William Baisley and John Wakefield, two Mormon Elders, as they were called, came in that neighborhood and preached. As soon as Mother saw them she said, "They were the men she saw in her dream and she knew they had the true Gospel." She and my three sisters joined the Church. In two weeks after hearing them preach there were twenty baptized in that place. Then the mob spirit arose and all was confusion. Our friends and relatives all turned against us. We stayed there for two years after that. Mobs and persecutions prevailed. Father said he was going to leave if he had to go without selling. No one would buy. He sold his large farm for $500, and it was worth $5,000, he often said. We took the family and headed for Missouri. This was October in 1839. When we got to Illinois we heard the Saints were all driven out of Missouri, so we went to Commerce, which was afterwards called Nauvoo. When we got there it was November 30, too late to build a house. There was none we could get, every house was full. There was a blacksmith shop that two families had just moved out of, so Father got that. It was the best we could do. It had no floor, no door or chimney. Father made a sod chimney, because there was no rock. He made a clapboard door and we lived in that all winter. Father hauled house logs across the Mississippi River on the ice and built a house with two rooms with hewn logs, and moved in it in March. Brother Joseph Smith, the Prophet, had gone to the city of Washington to lay the grievances of the Gospel before the President of the United States. We did not see him or hear him preach until he got back. I had said, "I would not get baptized until I saw the Prophet and heard him preach." I kept my word. I was baptized April 7, 1840, in the Mississippi River by Joseph Smith the Prophet. In 1842, the Prophet organized the first Relief Society in this dispensation. There was no society [organization] for the young people at that time, so I, as did all the other girls who wished to and were worthy, joined the Relief Society. Joseph Smith came often to our meetings and would talk to us and give us such good counsel. I heard him preach the last time he ever preached, just before he and his brother, Hyrum, went to Carthage. I saw them after they were killed and brought back to Nauvoo. It was the most sorrowful sight I have ever seen - to see such good and great men, and one of them the greatest Prophet, or as great as ever lived on this earth, killed in cold blood by a mob. Those were times long to be remembered. In 1845, my mother and her family moved across the Mississippi River to Iowa. My Father died in 1843. An old friend of ours said we could "better" by moving across the Mississippi because my brother was old enough to farm. I was in Nauvoo when Sidney Rigdon came from the East after Brothers Joseph and Hyrum were killed, to take the lead of the Church. There were none of the Twelve Apostles at home, but Brothers Taylor and Richards. Brother Taylor was badly wounded. Sidney Rigdon thought he would have everything his own way, but he found that he was mistaken. He called a meeting. He said the Church was old enough to choose a guardian, it being 14 years since it was organized. Brother Brigham Young and the other apostles arrived in Nauvoo in time to be present at the meeting. Brother Brigham Young said, "The keys of the Kingdom are with the Twelve Apostles. They are the ones to lead the people." He looked just like Brother Joseph and spoke like him. Surely the mantle of Brother Joseph has fallen on him. I never had a doubt. I knew Brother Brigham was the man to fill the place of our beloved Prophet. I knew that Brother Joseph Smith was a true Prophet of God and was the mouthpiece of God to the people, and that Brigham Young was his lawful successor. He was a man of God. After my mother moved to Iowa in the fall of 1844, in the following year, March 2, 1845, I was married to a good young man by the name of William Howard Avery. [They were both 21 at the time.]. He owned a nice farm four miles north of Mount Rose, a beautiful place, but in 1846 the Saints had to leave Nauvoo and go to the mountains. We sold our place for a song, you might say, and got ready to go with the first company of Saints on the 4th of March, 1846. My first child was born at Sugar Creek. My husband got a small cabin for us to stay in for A month. On April 6, we started and caught up with the first company at Mt. Pisgah. We traveled with the first company to the Bluffs and camped on Misquito Creek. Here the Battalion was chosen and sent to Mexico on the 15th of July, 1846. We then crossed the Missouri River and camped on the west side [Winter Quarters] as it was too late to go any further. The camp stopped and made preparations for winter. We stayed there all winter. In the spring of 1847, Brigham Young with a band of pioneers started West to find a home for the Latter-day Saints west of the Rocky Mountains. After Brother Brigham Young started, we crossed back to the east side of the Missouri River and my husband and his brothers went to find work. We had been living one year on what we brought with us, so we had to stay to get a fresh supply before we could go on to the mountains. My husband sent for me. Charles Avery was hauling flour to Winter Quarters from where my husband got work and he got Charles to take me down to where he was. This was July, 1847. On January 18, 1855, Olive Mehitable Cheney was born. The same year the grasshoppers took all of our crops, again making bread scarce. After the grasshoppers took Mr. Cheney's wheat, he planted corn on the same ground and raised enough for our bread. We did not do without. We were very saving of our bread. We divided with those that had none and the Lord blessed us and we did not suffer. March 8, 1857, David Cheney was born. June 16, 1859, Selar Cheney was born [Webmaster's note: Selar is my direct ancestor]. In March, 1860, I moved to a ranch eight miles south of Santaquin. Mr. Cheney had bought a ranch and wished me and my family to go there. My oldest son, William Avery, was 14 years old and old enough to take care of the stock and the sheep. In March 15, 1862, Thomas Edward Cheney was born. In March, 1863, I with my family moved to Sanpete County. Mr. Cheney thought it would be best for some of his family to live on a farm, so we did. In 1864, Sunday School was organized in Fairview, Sanpete County. I was called by our Bishop to teach, which place I filled. I taught the Theological class. In 1866, the Indians got mad and went on the war path and went to killing men and driving off stock. My oldest son, William Avery, was on picket guard with two others and on the 16th of April was wounded. Thomas Jones was killed the same time. Three weeks after that we had to vacate Fairview and go to Mt. Pleasant and stay until fall. In 1867, there was a Relief Society organized in Fairview and I was chosen as a teacher, and in 1868, was chosen secretary of the Grain Committee. In 1878, I was chosen for President of the Primary, which place I filled until my boys were called to settle in Castle Valley. In 1879, I resigned from all offices and went with my children to Castle Valley. In 1881, there was a Sunday School organized in Huntington in Castle Valley and I was chosen as teacher in the Theological class. In 1882, I was blessed and set apart for President of the Relief Society. We lived in Huntington, Emery County, from 1879 until 1893, when we sold our place and came north. I was President of the Relief Society for eleven years, then we left Huntington and I was honorably released from all offices and came north with my children. My son, Selar Cheney, had come north with his father-in-law, Sylvester Wilson, and they had crossed the Big Mountain [Teton Pass] and Snake River in 1889 or 1890 and settled in a place called Jackson's Hole in Wyoming. They homesteaded about seven miles south of Jackson. In 1892, David Cheney and Albert Smith [son and grandson] came to see the country. They liked Idaho best. In 1893, my son-in-law, Anthony Humble, and his son-in-law, Albert Smith, sold their places and started for the north country the 15th of May. David and Thomas were not ready so I came north with my son-in-law. His wife was the only daughter I ever had and I wanted to come when she came. I rode all the way in my buggy. I did not get tired. We were all thinking of going over the mountains where Selar lived. When we got to the mountains, we had to camp three weeks waiting for the snow to melt before we could cross the mountains. I was 69 years old and I walked over the Big Mountain, for it was too steep, no one could ride over it. Selar met us the next day and took us across the River in a scift. The water was so high we could not cross the wagons for three weeks more. It was July 4 1893, when we got to Jackson. [They all lived with Grandfather for a while.] Humbles moved into their new house two days before Scott Humble was bom, December, 1893. In the meantime, other members of the family settled in Idaho. David and Thomas Cheney built a one room cabin for their mother at Victor, Idaho, near the town of Thomas Cheney. The Humble family lived in Victor, Idaho. Great-grandmother was a good housekeeper. She was a small woman, but very spry. She was an excellent entertainer and could tell a story, sing and tap dance. She wrote many poems for special occasions, among them one for the last day of school at South Park dedication meeting house in Victor, Idaho in 1897. She composed and sang a song about her "Juab Home." She had the honor of writing a special poem for her grandson's missionary farewell. He was the first missionary sent from Victor, Idaho, and served in the French Mission. Although she lived alone, she always made soda biscuits. My Grandfather, Selar Cheney, told me his Mother was named for a name in the Bible, and this name only appears once, St. Mark 5:41 "...and He (Jesus) took the Damsel by the hand and said unto her, "Talitha Cumi," which interpreted is, "Damsel, I say unto thee arise." The issue of the momentary "transfiguration" or "transformation" of Brigham Young's appearance into that of Joseph Smith is disputed by a number of people who argue that the story was invented later by the Church to prop up Brigham Young's succession to the office of President of the Church. It is true that not everyone there claimed to have seen this, and that most of the written statements about the event were crafted after people got to Utah. But I am not sure that the problems in documentation thwart the fact that some witnesses did experience what appeared to be an impressive indication that Brigham Young was to be the new leader. Talitha Cumi Garlick's statement must be considered as one of those witnesses. There are those that know not God. There are those that think the Latter-day Saints are a mistaken people, that they are deluded and that they have no faith in the supernatural; but I say here today that I know the mantle of Joseph Smith fell upon the Prophet Brigham Young. I know it, and I am willing to meet the testimony that I bear. How do I know it? I know it because of my mother, a more honest woman than whom never lived, a more devoted Latter-day Saint can not be found; because she and scores of others have told me that they saw the Prophet Brigham Young when he spoke with the voice of Joseph Smith; when he looked like the prophet Joseph; and I know that these people are honest; and in addition to this I know by the inspiration of God to me that Brigham Young was a Prophet of God. The challenge with the testimonies of the observers is that they were not written down immediately after the event, but several years later. That is understandable given the chaotic circumstances and the life-and-death struggle the Saints were facing, and the fact that few had diaries or records with them. But given the gap in time between the event and the recording of testimonies, it is possible that the collective memory of the event shifted and was retold in ways that reinforced the outcome of Brigham Young as the prophet, so that's a fair question mark to add to such accounts. However, the diversity of sources and the differences between the accounts confirm that they are not merely parroting one another. Many were written before an official Church account of the event was published in 1857. The witnesses also show that something about that event played an important role in confirming their acceptance of Brigham Young as a divinely authorized leader of the Church. The combined evidence from the accounts and the effect the event had on many lives forces the conclusion that something significant happened on that day that is not readily explained by peer pressure and group psychology influencing participants years later. In my opinion, examination of the other testimonies and surrounding evidences rules out the possibility that this was an urban legend that many folks adopted. Something happened on that day, and I am inclined to apply Alma 56:47 to this situation, affirming the faith of the "sons of Helaman," the stripling Lamanite warriors who said, "We do not doubt our mothers [or great-grandmothers] knew it."